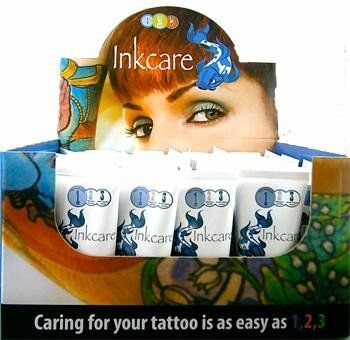 Aftercare of tattoo procedure is very important and crucial to keeping the maximum amount pigment healed under the skin. Once the tattoo is completed it will be covered with a protective film to prevent infection. Pat dry,apply thin layer of aftercare cream twice daily for 7 to 10 days. Avoid swimming (pools, rivers, lakes & oceans). Soaking tattoos will damage them and also risk infection. For further information contact your artist.